Helps to redefine the contours of the face. 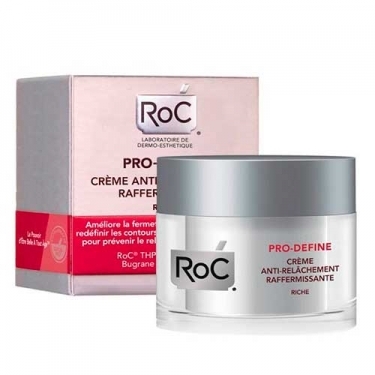 DESCRIPTION: Pro-Define Anti-Sagging Firming Cream from RoC is a rich cream that helps to improve firmness, reshape the contour of the face and prevent sagging. Moisturizes deeply. Increases firmness, providing an intense lifting effect. Redefine the contours of the face. Ideal for mature and dry skin. 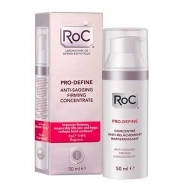 Dermatological care, with tensing agents and cellular regenerators for a moisturizing action, firming, remodeling, anti-sagging and restructuring. Exclusive concentrate with THPE and Bugrane extract for intensive firming and remodeling action; THPE that helps you contract the cells for a visible lifting effect; Bugrane that stimulates the production of elastin for a lasting firming effect; Glycerin that moisturizes and softens the skin. 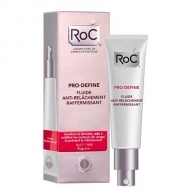 Rich and nutritious, quick-absorbing formula that repairs the skin daily. Ideal as a night cream.